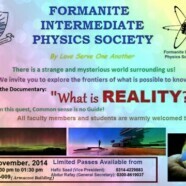 Home » FIPS » Join FIPS screening of documentary ‘What is Reality? Join FIPS screening of documentary ‘What is Reality? 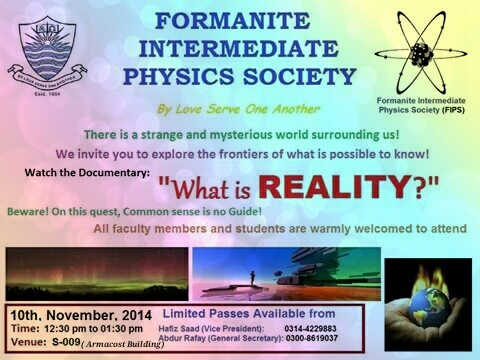 The Formanite Intermediate Physics Society will screen a documentary, ‘What is Reality?’ on 10 November 2014 from 12:30 to 1:30 pm in S-009.